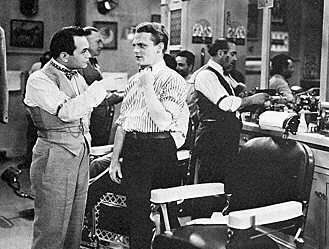 Cagney with Edward G. Robinson, who had made a big splash in his own Gangster film Little Caesar. 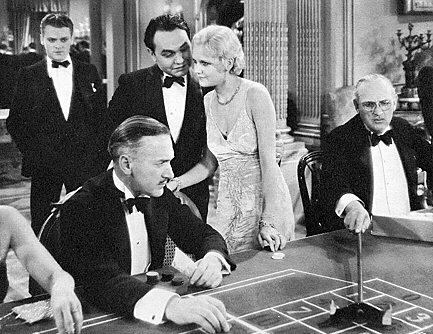 It was a dynamic combination, while Robinson had the lead, Cagney was excellent throughout. Director Alfred Green and photographer Robert Kurlee came up with some unusual ideas and angles.The original story by Lucien Hubbard and Joseph Jackson was nominated for an academy Award.
" 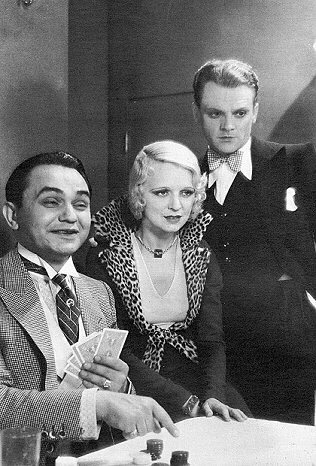 James Cagney, who figured as the officious gangster in The Public enemy, is to be seen in this current contribution ever ready with the short arm jab. His role is of minor importance, for the boastful barber is the limelight in most of the scenes. "